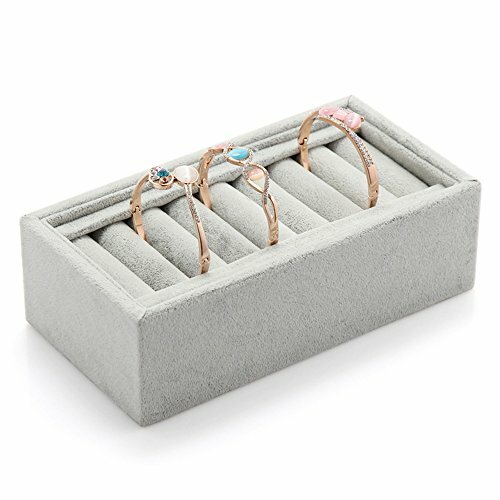 KUKI SHOP Soft Velvet Women's Bracelets Bangle Rings Holder Tray Display Storage Jewelry Box with 8 Slot Insert, Grey by KUKI SHOP at Home Decor Outlet Store. MPN: unknown. Hurry! Limited time offer. Offer valid only while supplies last. If you have any questions about this product by KUKI SHOP, contact us by completing and submitting the form below. If you are looking for a specif part number, please include it with your message.